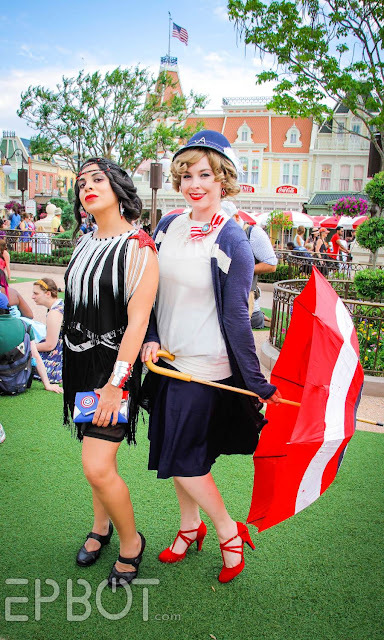 The forecast promised rain - and lots of it - for Dapper Day last Saturday at the Magic Kingdom, but John and I made the 11th hour decision to go anyway. And I am so glad we did. So prepare your eyeballs for a candy-coated feast. That's Disneybounding Cap' and Bucky up there, btw. Check out the red star & silver cuff bracelet for Bucky's silver arm! If you're not familiar with Disneybounding, think of it as an extremely subtle cosplay, usually accomplished with everyday clothes and accessories. I'd guess that around 30-40% of DD participants DisneyBound, so half the fun of Dapper Day is figuring out who's dressed as who! Dapper Day emphasizes vintage clothing and/or bright colors, so this is easily the most beautiful day to stroll through the park. That's no mean feat in 80 degrees! I love "Nick's" sly side-eye in that close-up. And Rey's little BB-8 is wearing a hat & bow tie. Ha! See the red feather in his cap? And I'm guessing that's Tinkerbell with him. She also has the Hunstman's box for a purse! And how fantastic is that retro Alice dress? FLYNN IS DOING HIS SMOLDER, YOU GUYS. And I loooove how those two in the middle are looking at each other. Gah, so perfect. Ok, I've gotta stop there for now, but I have so many more photos. So stay tuned! 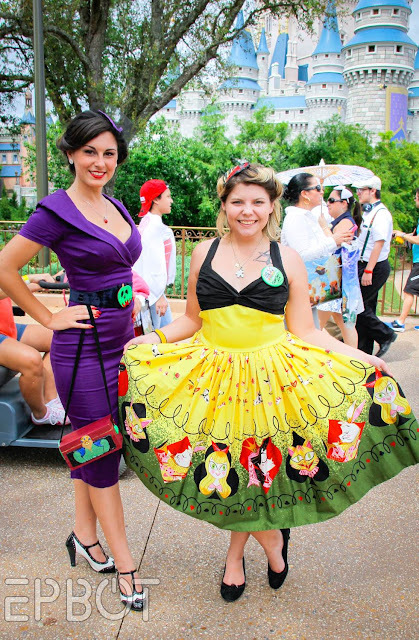 I love the photos, and the retro Alice dress is from Pin Up Girl clothing, who do the most stunning 40s/50s pieces. Clicked "send" on my taxes at 11:58 p.m. last night! Now that the stress is over, I got to savor these photos all leisurely and delightedly as my reward. Such amazing clothes! 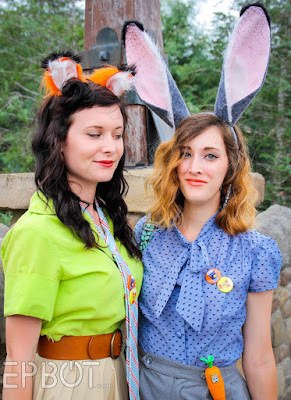 Such brilliant Disneybounding! Thanks so much for going and documenting this for us, Jen! Can't wait to see the rest of the pics! 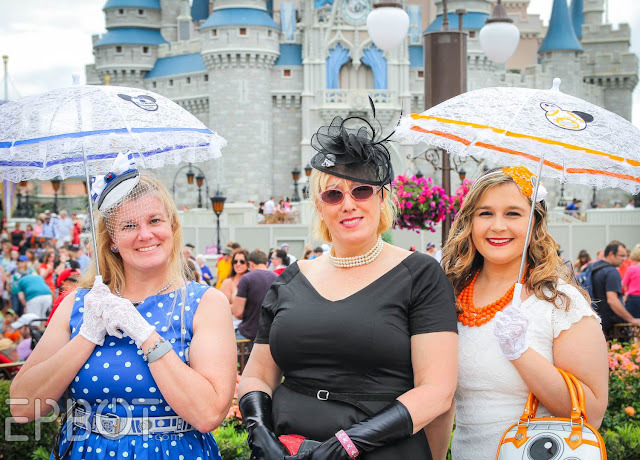 One day I'll make it to Dapper Day...I have a nifty 50's black-and-white polka dot dress, so I think I'd have to go as one of the dalmatians, if I decided to DB. Oh my god. Huntsman's box as a purse?! LOVE. IT. What a fantastic bunch of photos! 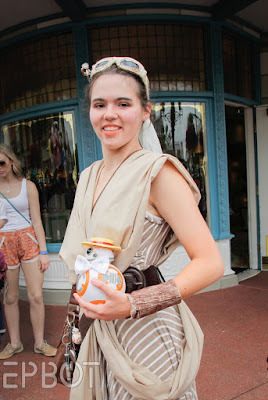 I'm the girl in the SW:TFA dress (with the fascinator), and I was wondering if it would be possible to repost this picture elsewhere (with credit to you, of course)? I got very few photos of the dress, and none of this quality. Thank you so much for sharing! Of course, Betsy! Glad you like it! Your look is amazing! My favorite of the day. That's actually the Evil Queen, not the Snow Queen, and I can't quite tell -- does she have an apple necklace? 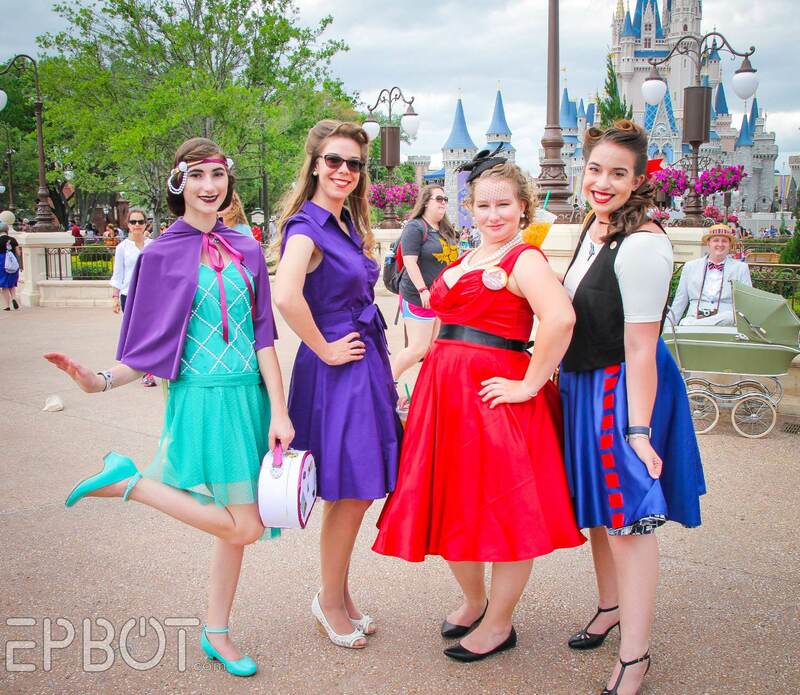 Faboo outfit, but then so are all the others! 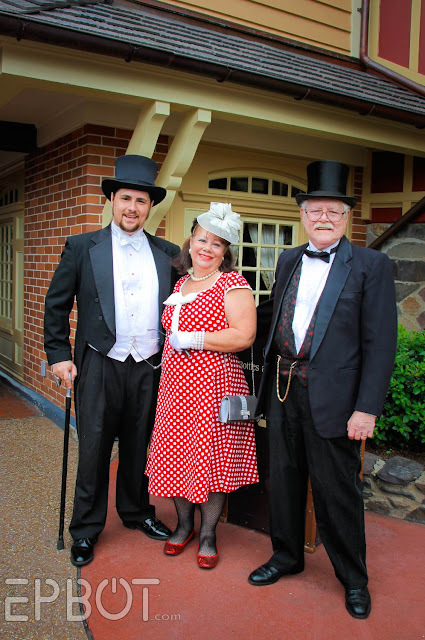 Oh, how I would love to visit the Magic Kingdom on a Dapper Day! Oops, sorry; Disney cast members refer to her as Snow Queen (short for Snow White's Queen), so I've gotten used to calling her that! I'll go fix it. And yes, pretty sure that's an apple necklace! Gosh, no need for a sorry! 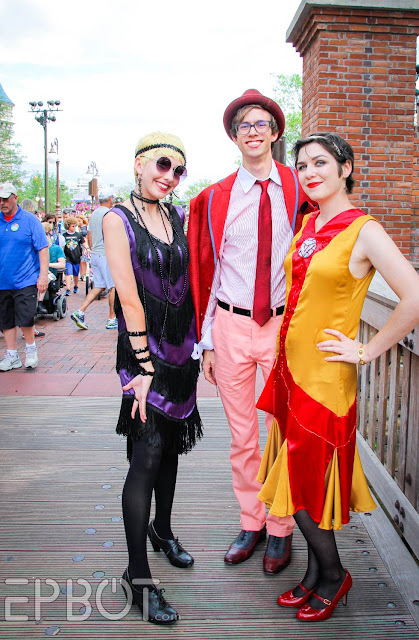 I'm charmed to know that about what cast members call her! How fun! This is the first year that I've heard of Dapper Day and now I wish I had been able to make it! Everyone looks fantastic and look like they've had a great time. Now I certainly have to go! 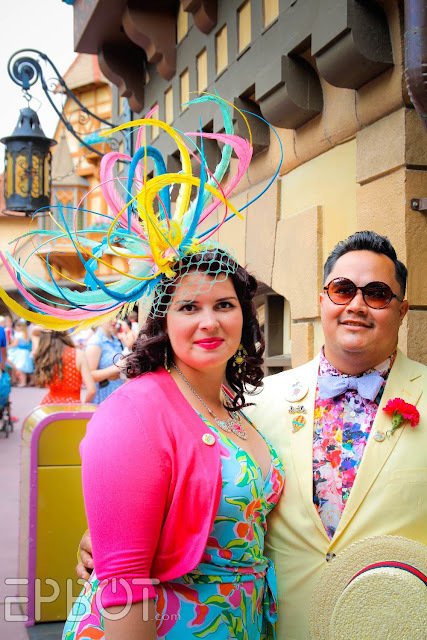 Yippee, the first batch of Dapper Day photos! These folks have so much imagination it boggles my mind. Thank you so much for sharing. 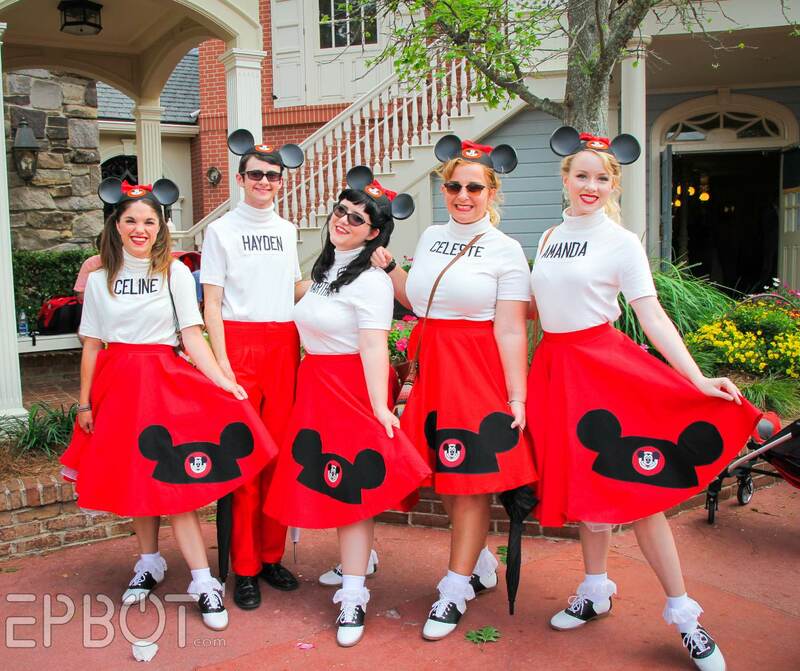 Oh, the Mousketeers make me happy. My parents have told me the stories about them rushing home from school to catch Mickey Mouse Club. So simple...so awesome. 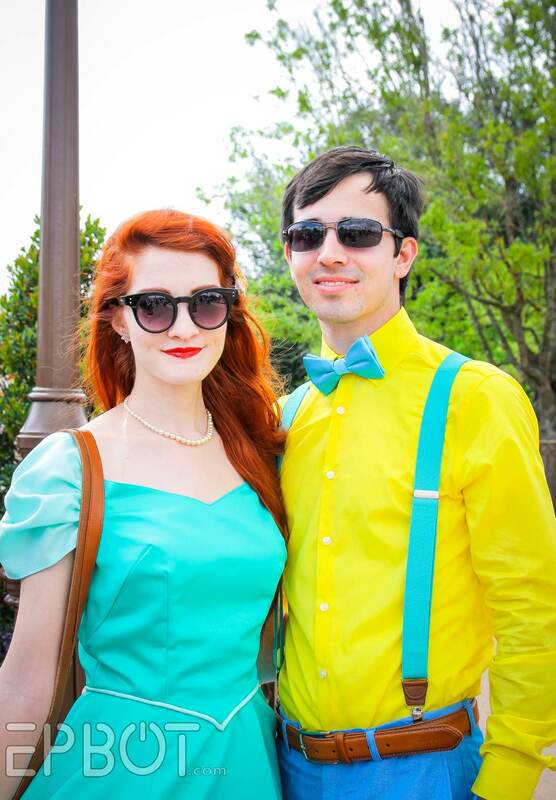 Ariel and Flounder are a very near second. Again, just simple. Can I say that I love Magic Kingdom as the location this year from a photo standpoint? Hollywood studios was cool, and I suppose appropriate, but I love seeing the castle in so many of your amazing photos!! Thank you so much for sharing! 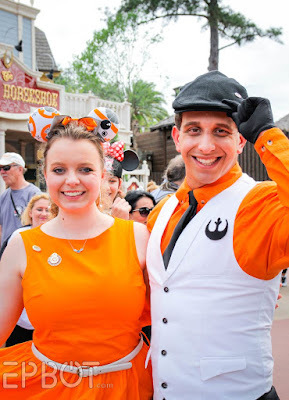 PS - If you ever want to do a post (and are allowed, I suppose), I would love to hear about *your* favorite "being a cast member" experiences! 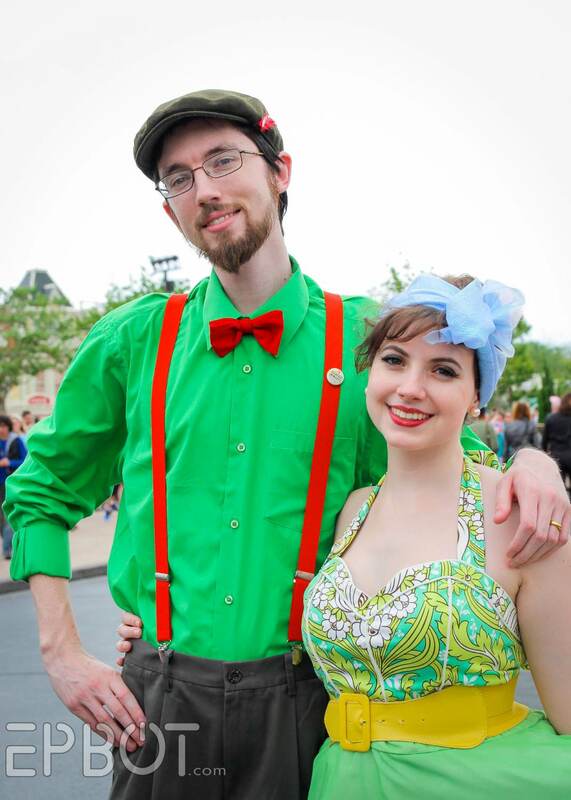 My husband and I had a marvelous time at Dapper Days. 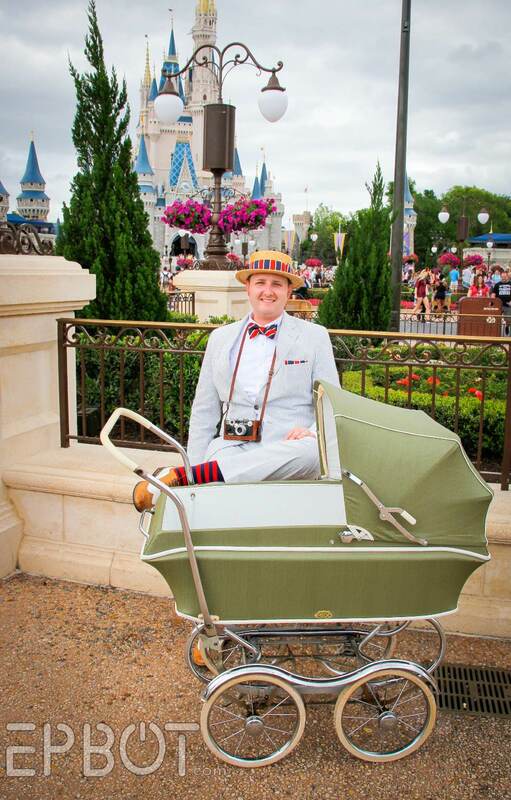 It was marvelous to walk through the park seeing everyone dressed to the nines. Almost makes me wish we still dressed that way. Thank you so much for your kind words! 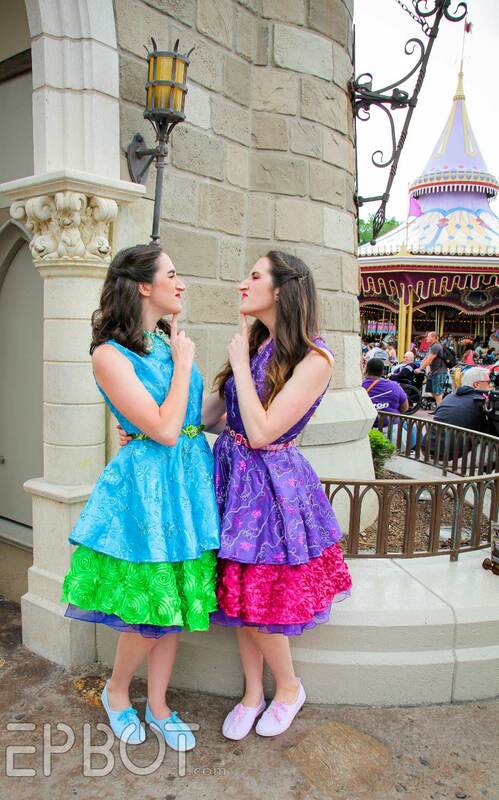 My sister and I are the twins in the Ugly Stepsister dresses. 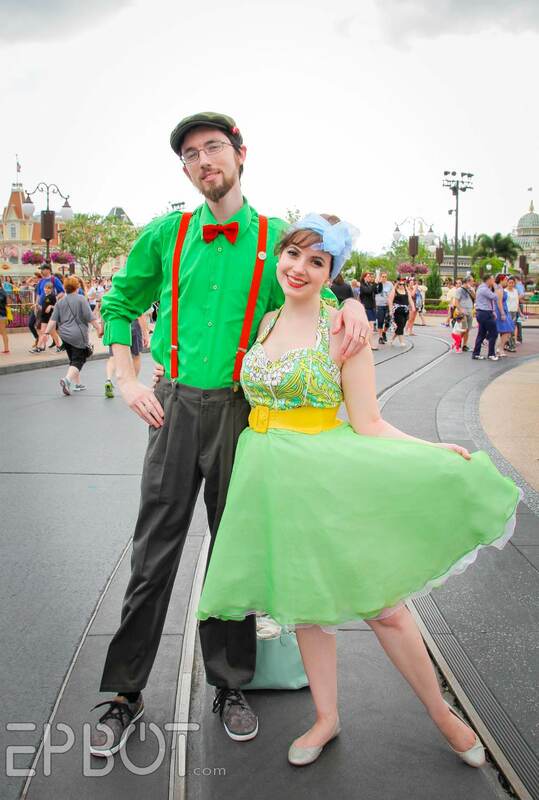 This was our first Dapper Day and we had an absolute blast! 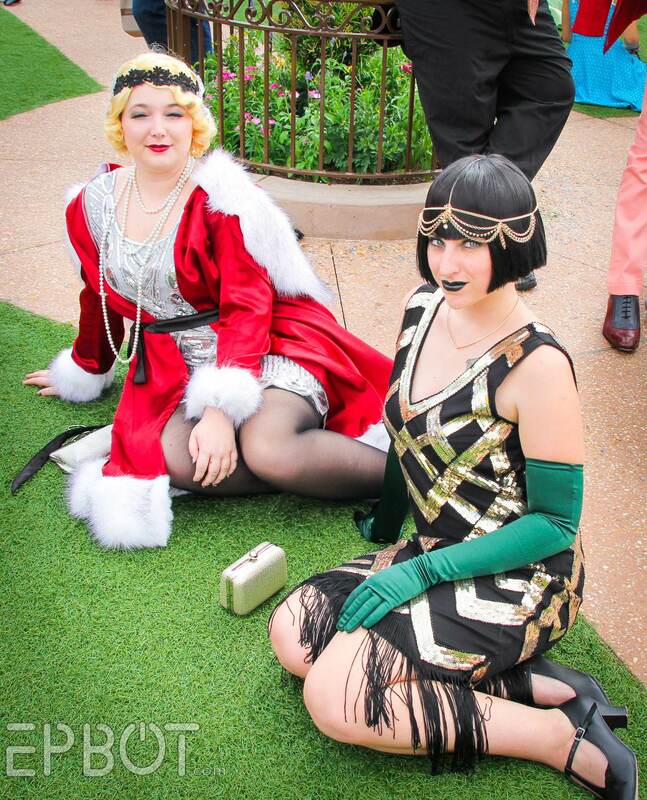 Thank you for taking and posting these wonderful photos! That last pic with the older couple are part of a FB group called "Disney Dapper Darlin's". They hold mini gatherings throughout the year. 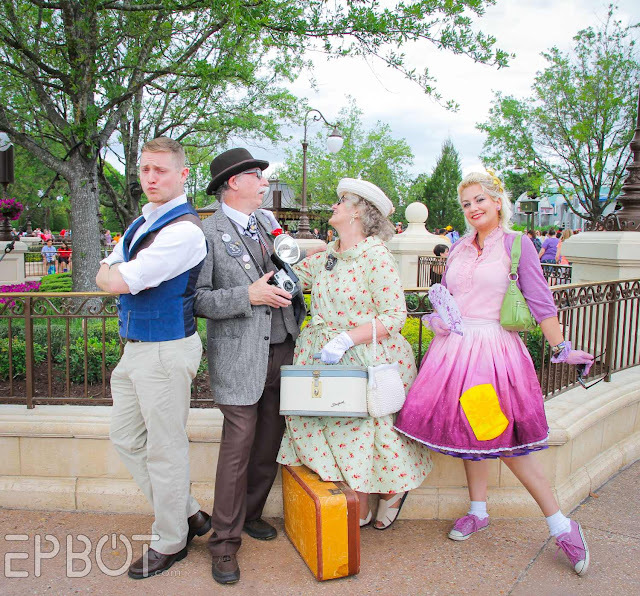 Back in Febuary/early March, they gathered in their Dapper wear in Hollywood Studios to "Kiss the Streets of America Good-Bye". 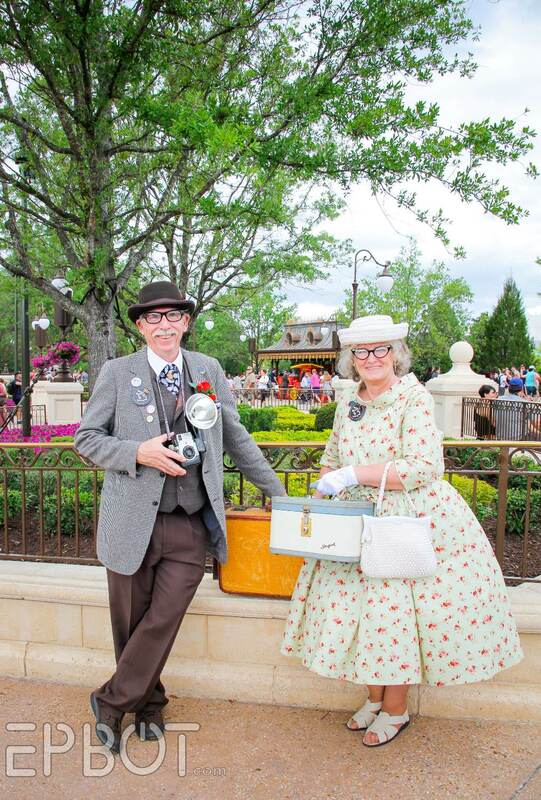 The Darlin' Herself, Marina, is a WDW photographer. Check them out! They had so many beautiful photos posted from Dapper Day!! 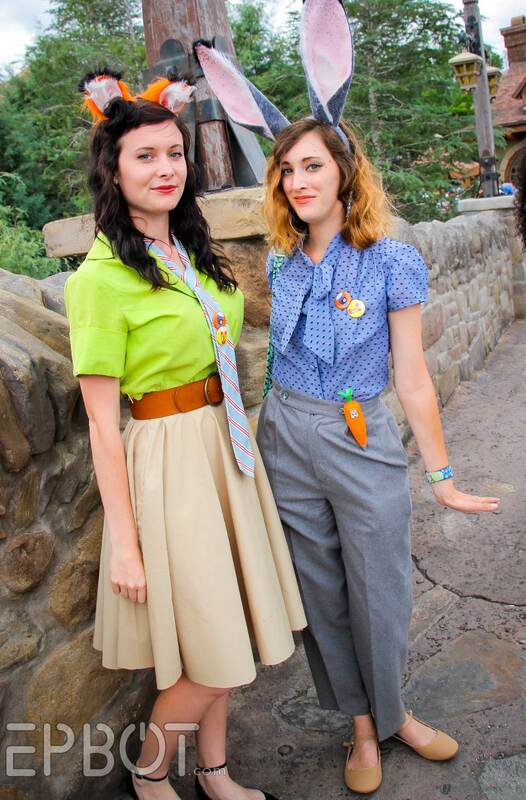 Your yearly Dapper Day photos post(s) is probably the post I look forward to the most during the entire year! 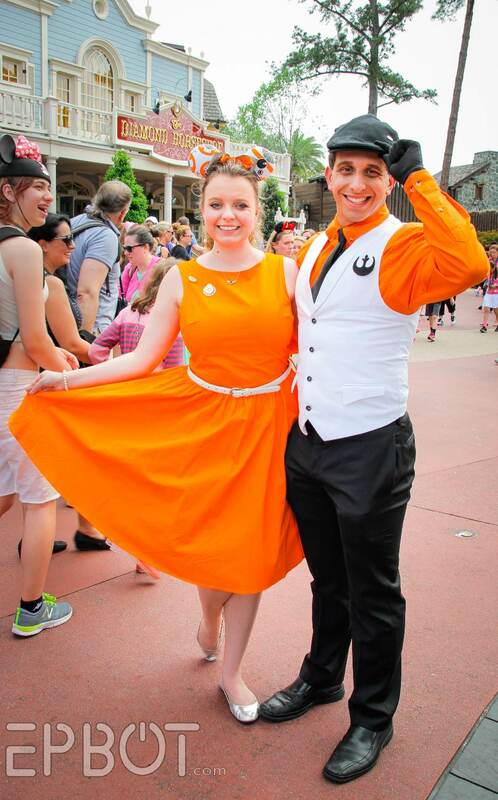 I live vicariously through your Disney posts! I keep seeing dapper style dresses for sale in the little shops around here, but we don't have anything like that. Maybe a trip to Florida is in the works for next year. These are all so cute it's ridiculous. I love that Flounder. Love it! Thank you for sharing these. The older couple is so adorable! Hi Jen! Love the photos, the Tinkerbell/Peter Pan Dapper Day couple are from toughtinkcosplay on tumblr! Love it! Hi! I'm the one in the Leia dress. You're right, Vader and I are sisters. 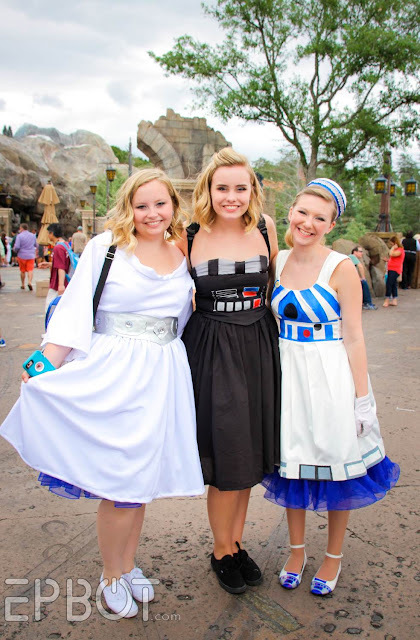 :D I handmade both dresses and our friend handpainted her R2D2 dress. We were so excited to see that we made it to this post! Thanks so much for the photo! Such lovely photos! 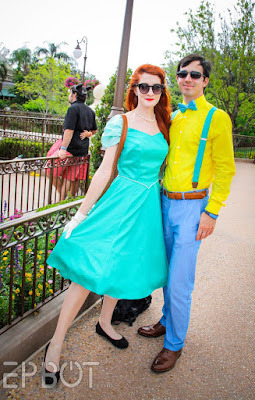 I love the Ariel and Flounder duo instead of Eric. Great idea! Heya! The people in the picture with the Very Fancy Tuxedos (IMG_6092.jpg) are Count Jared from the band The Gekkos (https://www.facebook.com/thegekkosband/) and his lovely parents. 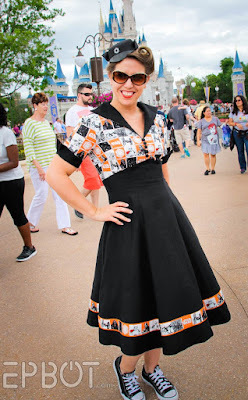 I love it when I recognize people in your round ups! 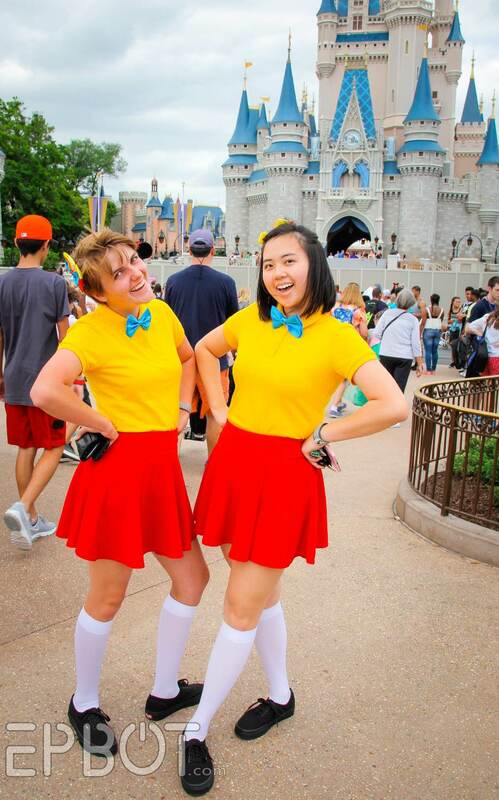 The Cosplayers Who Say... NI! WDW's Spring Dapper Day 2016, Pt 3 - last one! Clever Kids' "Princess Aprons" For Disney Trips! Save Those Old Easter Eggs ... And Make A RAYGUN!